The SanDisk Ultra USB 3.0 Flash Drive combines faster data speeds and generous capacity in a compact, stylish package. With transfer speeds of up to 80MB/s, this USB 3.0 flash drive can move files up to four times faster than USB 2.0 drives**. With storage capacities up to 64GB, the drive can accommodate your bulkiest media files and documents. With transfer speeds of up to 80MB/s**, the SanDisk Ultra USB 3.0 Flash Drive reduces the time you'll spend waiting for files to move from the flash drive to your computer. Enabled for USB 3.0 ports, the drive lets you transfer, store, and share large files up to four times faster than USB 2.0 drives**. Offered in capacities up to 64GB**, the SanDisk Ultra USB 3.0 Flash Drive can hold all your favorite media and important documents, including high-resolution photos, MP3s, HD** movies, presentations, and graphic files. The SanDisk Ultra USB 3.0 Flash Drive includes SanDisk SecureAccess software, which lets you set up a password-protected private folder on your drive**. Your files will be secured with 128-bit AES encryption to help keep them confidential, even when sharing the drive with others. 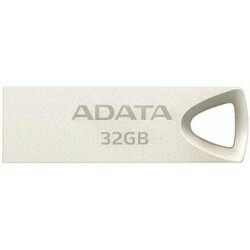 The Kingston DataTraveler 50 is a lightweight USB Flash drive that's available in capacities from 8GB to 128GB. The drive’s compact, capless design features a metal casing and colourful accents that range by capacity. The UV230 features a sliding USB connector, which smoothly extends from the drive at the push of a thumb. The UV310 in a durable one-piece zinc alloy design for a combination of looks and toughness. The UV210 features a sandblasted metallic finish and sleek edges, resulting in a visibly stylish, high quality personal data storage device.